The team here at Plymouth General Dentistry offers comprehensive dental care to all patients who visit. This includes cosmetic dentistry treatments that enhance the beauty of smiles as well as advanced restorative dentistry procedures that improve dental health and wellness. One such example of the latter is root canal therapy, which we'd like to consider in more detail right now. Root canal therapy is performed in order to address infection of the internal structures of the tooth. Within each tooth is a substance known as dental pulp, which is soft tissue crucial in the tooth's maturation and emergence. This dental pulp sends signals down into the root of the tooth so that patients notice heat, cold, and pressure. If this dental pulp becomes infected, the only way to save the tooth from extraction and prevent serious spread of infection is to perform a root canal, which involves the removal of the diseased dental pulp. Some of the most common causes of root canal infection involve major tooth decay or tooth damage that leads to bacteria entering the inner structures of the tooth. This is why it is important for cavities to be prevented or treated as soon as possible, and for people to wear mouth protection during contact or combat sports. Good candidates for root canal therapy are people who are suffering from a root canal infection. The tooth that has been infected should still be in sound enough condition that a root canal is viable. If the tooth is extremely decayed or damaged in some fashion, it may be more advisable to extract the tooth. Patients should have realistic expectations about the treatment process and what it entails. 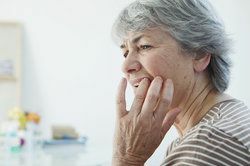 There is discomfort after the root canal procedure, for instance, though it is only temporary and generally manageable thanks to modern pain relievers. Be sure to speak with your dentist right away if you experience any significant tooth pain or other matters that seem cause for alarm. During root canal treatment, an endodontist will carefully access the inner pulp chamber of the tooth and extract the infected dental pulp. The interior chamber of the tooth will then be carefully sterilized in order to ensure that no bacteria from the infection remains. The tooth is then filled with an inert material so that it remains structurally sound. A crown is typically placed on the treated tooth to ensure that it remains strong and durable when patients bite and chew. To learn more about root canal therapy and why it may be the ideal treatment option for you and your needs, be sure to contact our advanced dental care center today. The team here at Plymouth General Dentistry looks forward to meeting you in person and helping you have the healthiest and most beautiful smile possible.